Professor Luis Leal is one of the most outstanding scholars of Mexican, Latin American, and Chicano literatures and the dean of Mexican American intellectuals in the United States. He was one of the first senior scholars to recognize the viability and importance of Chicano literature, and, through his perceptive literary criticism, helped to legitimize it as a worthy field of study. His contributions to humanistic learning have brought him many honors, including Mexico's Aquila Azteca and the United States' National Humanities Medal. 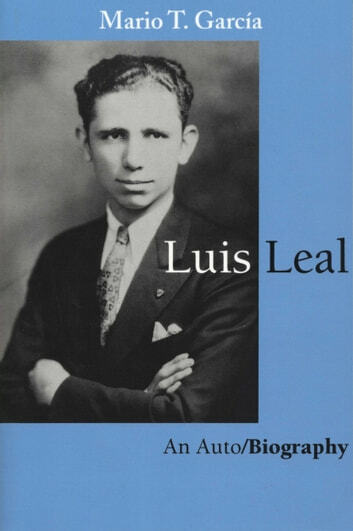 In this testimonio or oral history, Luis Leal reflects upon his early life in Mexico, his intellectual formation at Northwestern University and the University of Chicago, and his work and publications as a scholar at the Universities of Illinois and California, Santa Barbara. Through insightful questions, Mario García draws out the connections between literature and history that have been a primary focus of Leal's work. He also elicits Leal's assessment of many of the prominent writers he has known and studied, including Mariano Azuela, William Faulkner, Octavio Paz, Carlos Fuentes, Juan Rulfo, Gabriel García Márquez, Jorge Luis Borges, Tomás Rivera, Rolando Hinojosa, Rudolfo Anaya, Elena Poniatowska, Sandra Cisneros, Richard Rodríguez, and Ana Castillo.